More roundly translated, this has come to us as the famous “I was just following orders” defense. It didn’t work for Ohlendorf. He was convicted and hung for his crimes. Workers for Immigration and Customs Enforcement (ICE) today may feel that they are simply doing their job, that they are simply following orders. However, in the process of doing so they are violating the terms of the UN Convention on the Status of Refugees, which as a signed treaty is also a violation of US law. 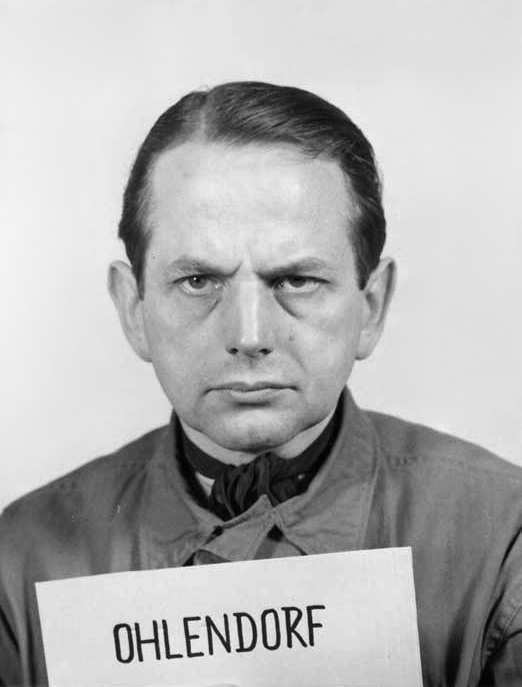 Otto Ohlendorf, after his arrest. The basic principle governing individual action and refusal to follow orders is actually much older than the Nuremburg trials. 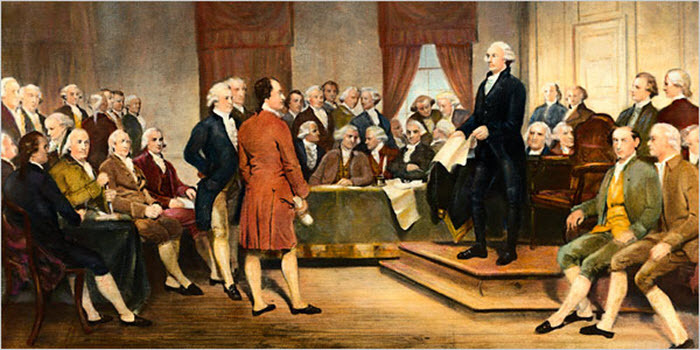 The establishment of the rule of law came into western world slowly and unevenly, and the punishment of underlings for the action of a previous regime was often undertaken as revenge. At the time of the Nazi trials, the idea that “following orders” might be a defense was actually quite reasonable. In the case of the Nuremburg court, it was established that the crimes were so severe and obvious that there was a moral obligation to resist orders. There were, however, very few who managed to do just that. There is no punishment listed for violations of the UN Protocol, but it is indeed what we can call the Supreme Law of the Land. No executive order nor local law can over-ride it. Everyone is bound to regard families as inseparable and to grant equal access to the courts. Recently, a new policy has been put into place in detention centers around the nation. As reported by numerous local outlets, families are being separated. Access to courts to hear complaints about this treatment is denied. Refugees seeking asylum are in general treated not only with disregard for their rights under the UN Protocol, but in a way that is so obviously egregious that anyone can see that it is wrong. 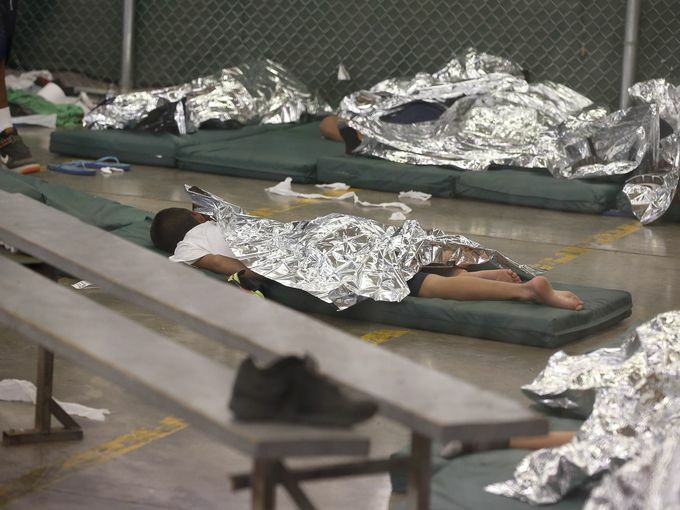 A child, separated from his family, sleeps on a cot at a detention facility. It is imperative that workers at these facilities be informed of their responsibilities under International and US law to not follow what are clearly illegal orders. The current regime will not be in place forever, and the possibility of prosecutions for violations of human rights is very real. The workers at these facilities should be told that they will be held accountable for their actions just like those at the Nuremburg trials. These are not offenses that justify hanging, but they could carry severe penalties for those who are in charge of carrying out what are clearly illegal orders. This entry was posted in Nooze and tagged asylum, current events, detention, ice, illegal acticity, News. Bookmark the permalink. I’m not certain that we are angry enough at this blatant disregard for the family and rule of law. I can’t imagine how anyone could work for ICE and not realize that this goes against any concept of moral behavior. How can anyone do this to a child? Good blog. None of this would happen if everyone said no. How do we stop it? I just about lose my mind thinking about this. The trauma of forced separation cuts into the souls of children and parents. If reunited, people can recover, but the deep scar never goes away. How can we do this to people? And truly, how do we stop it? class action lawsuit against the justice department employees doing it, aka sessions and every ice agent.